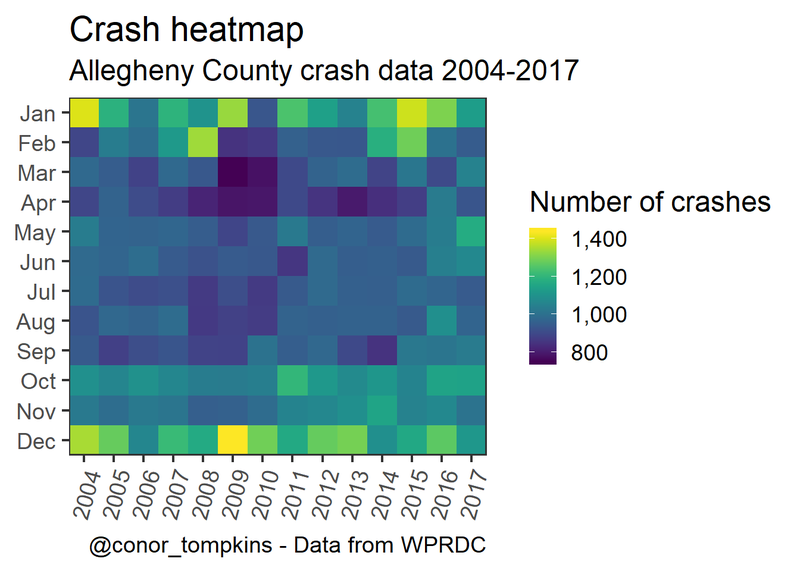 WPRDC has published a dataset on car crashes in Allegheny County from 2004-2017. 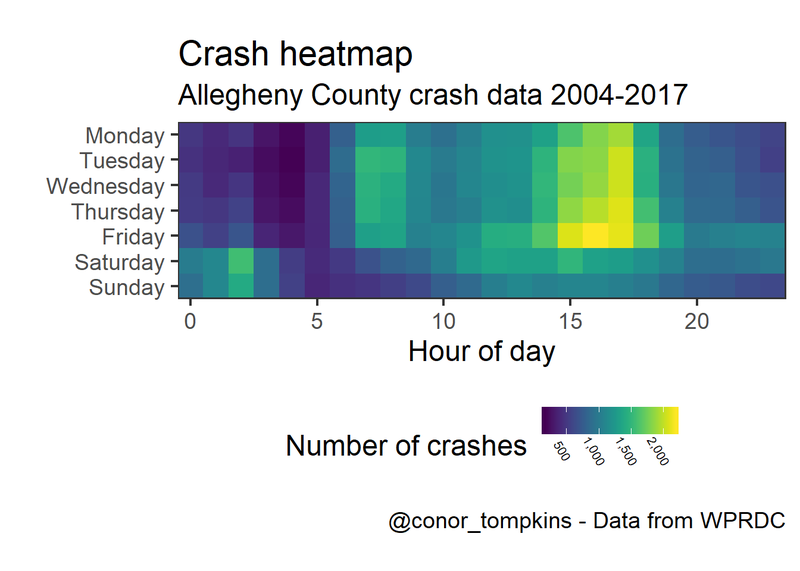 I was interested to see if there were any patterns or interesting trends in the data. 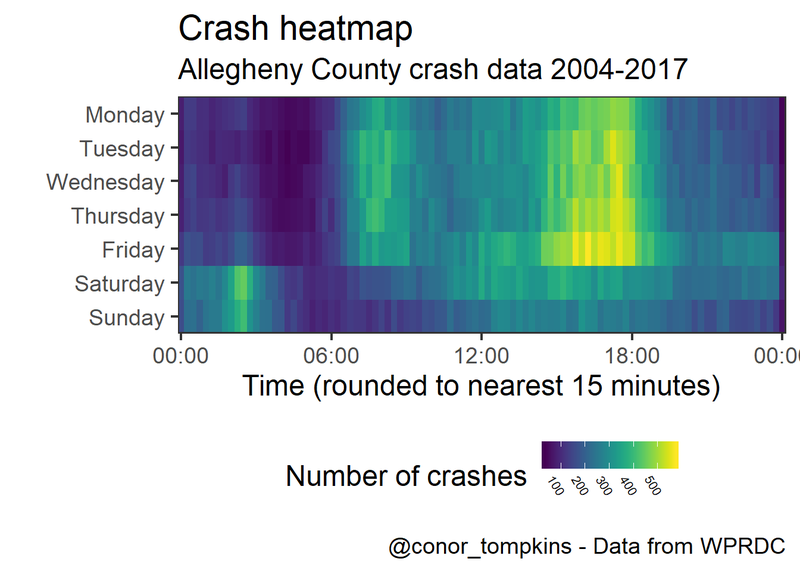 my_subtitle <- "Allegheny County crash data 2004-2017"
my_caption <- "@conor_tompkins - Data from WPRDC"
The data was difficult to work with, so I condensed my data munging and cleansing workflow into the following scripts. I may write a post about that process in the future. 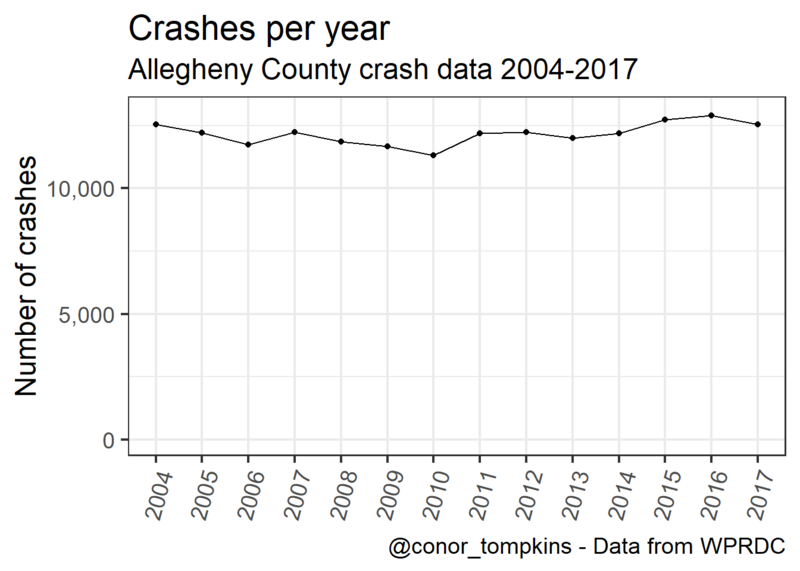 This graph shows that the number of crashes per year is stable, with some year-to-year variation. 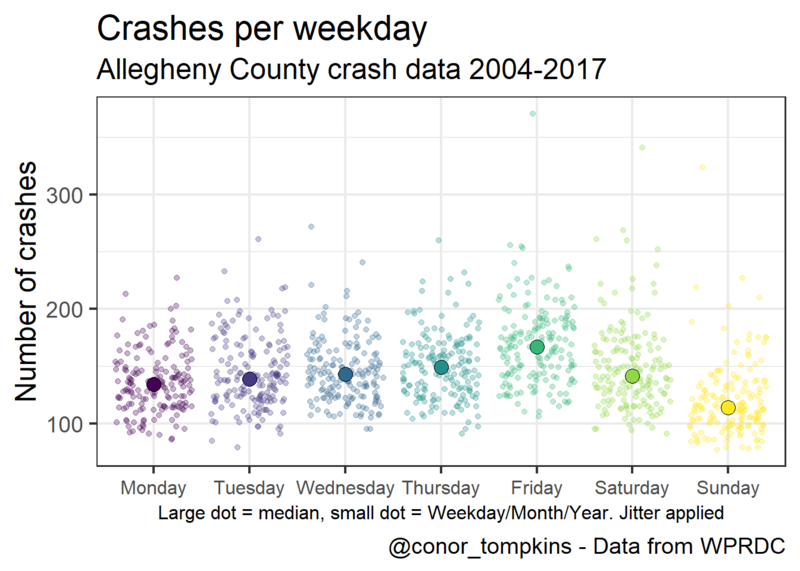 This shows that there is much greater variation between weekdays, though there is still a perceptible pattern. 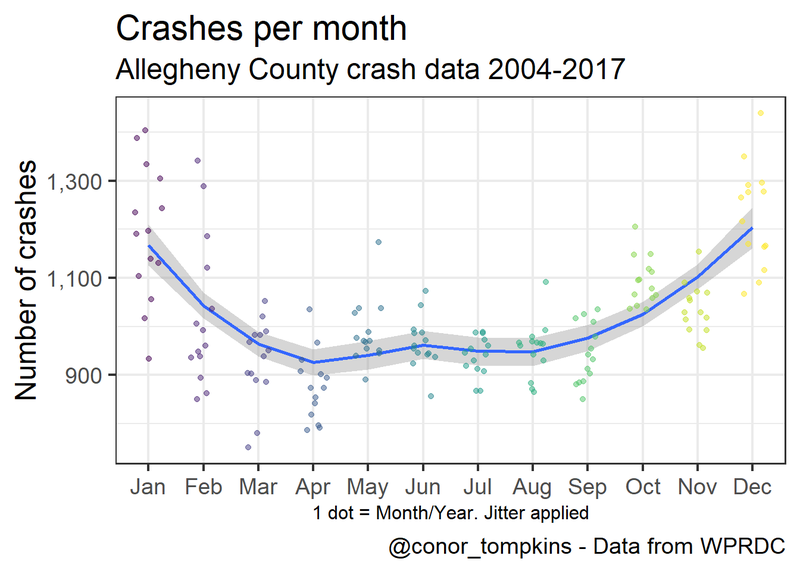 This shows that the number of crashes increases in the fall and winter. 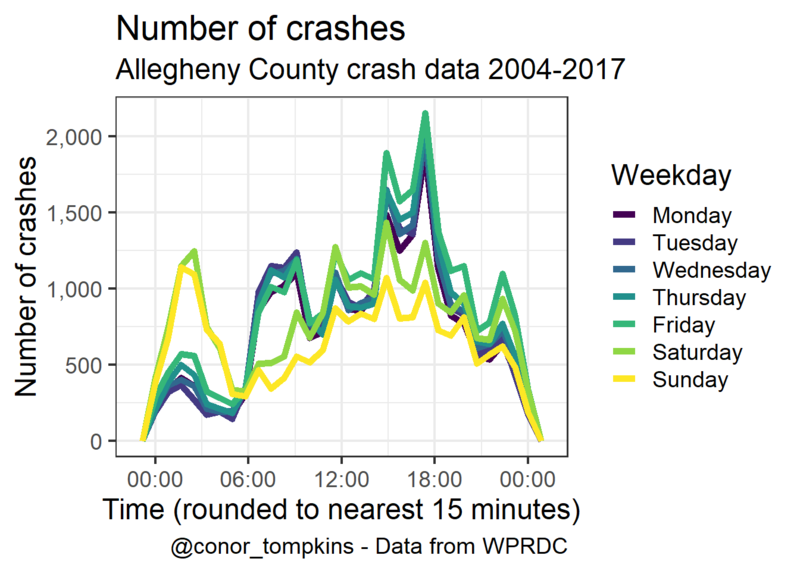 These plots show how the number of crashes changes throughout the day. This is a different veiew of the same data. Saturday and Sunday behave differently than the weekdays. 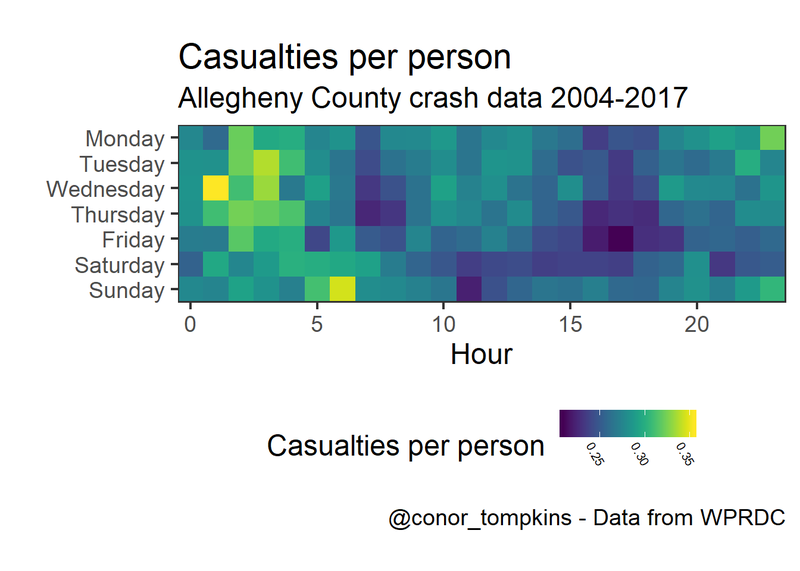 This shows that there are more casualties (injuries and fatalities) per person involved in the crash in the early morning. 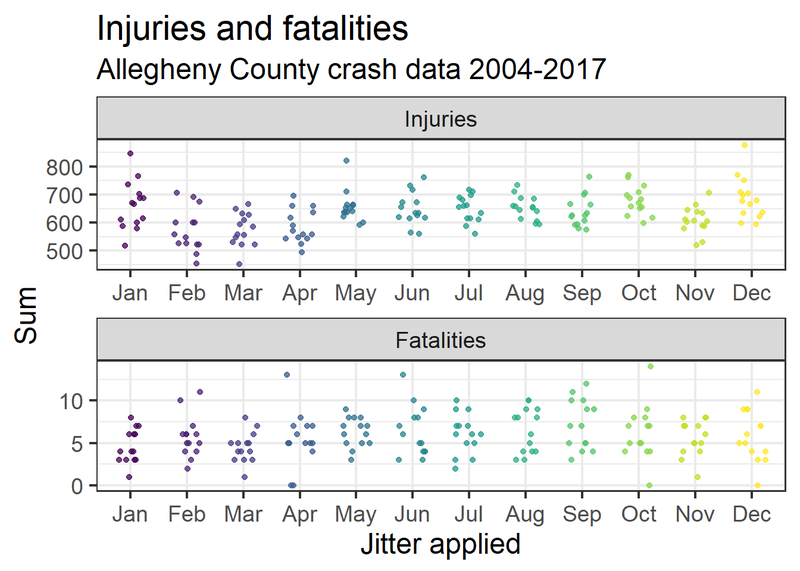 The number of injuries and fatalities follow the same general pattern, but it is less pronunced in the fatality data. 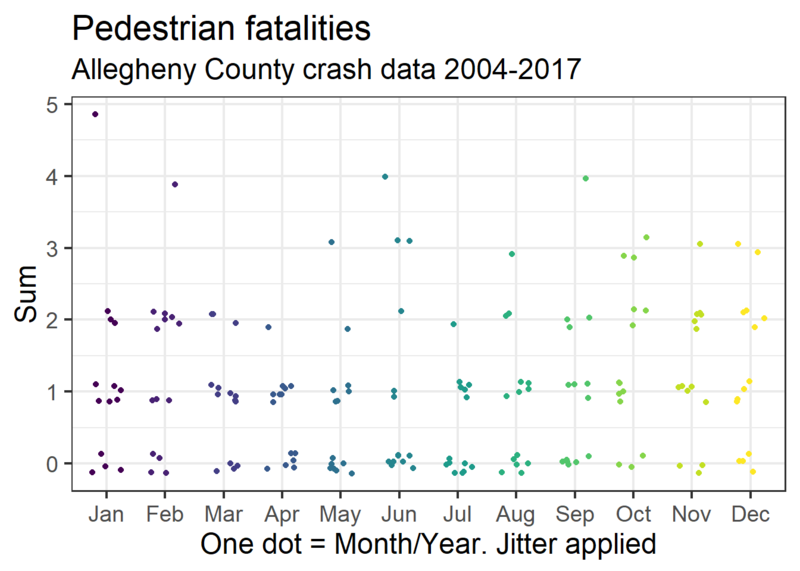 This shows the number of pedestrian fatalities by month. 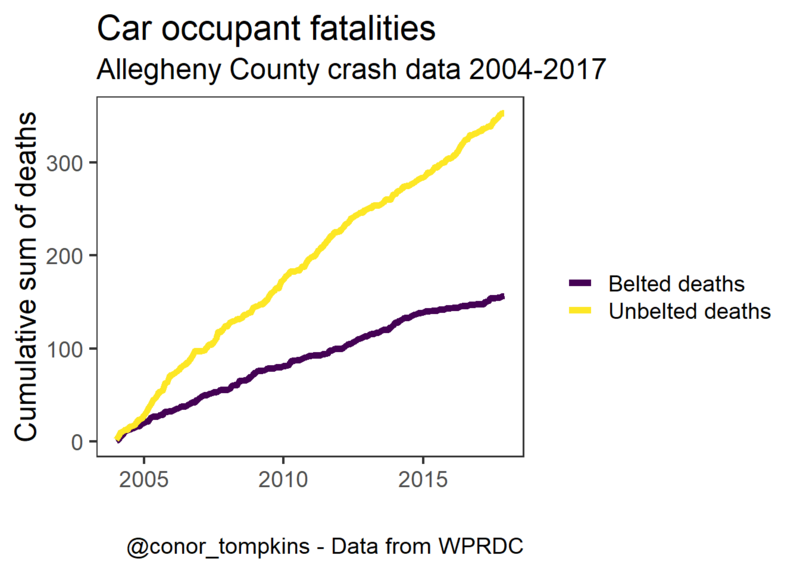 The rate of increase in the number of fatalities among belted vehicle occupants has been decreasing, while the rate among unbelted occupants has been increasing.